NEW WESTMINSTER, B.C. 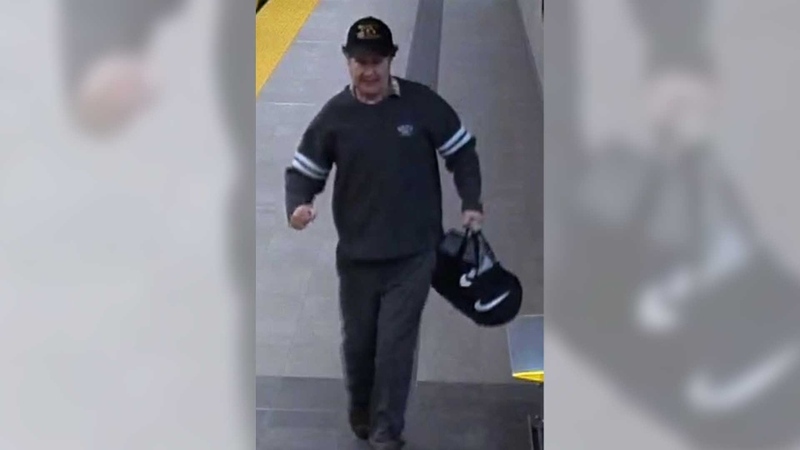 - Metro Vancouver Transit Police are searching for a man who is alleged to have made vulgar sexual comments to a seven-year-old girl before groping her. 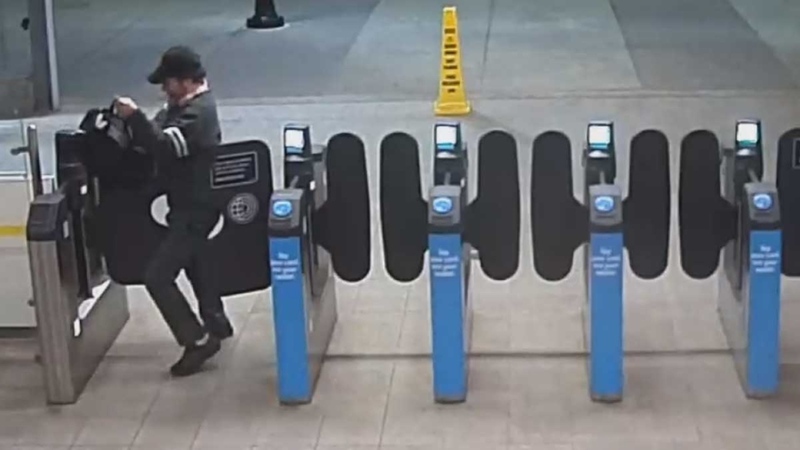 The incident happened on Saturday, Feb. 2, when police say the girl and her mother boarded a SkyTrain at the Commercial-Broadway station. Police say the man was already on the train and when the girl sat across the aisle from him he began making sexually explicit comments. 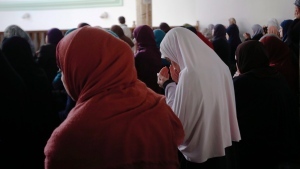 It's alleged the man then touched the girl's buttocks, causing the woman to pull her daughter onto her lap. A bystander confronted the suspect after overhearing the man's remarks and police say he left at the Production Way station. The suspect is described as Caucasian, 50 to 60 years old, six-feet tall, with grey wavy hair and he was wearing a grey sweater and pants, black baseball cap, black shoes and carrying a black Nike duffel bag. The suspect in an alleged groping is shown in a still image from video released by transit police.